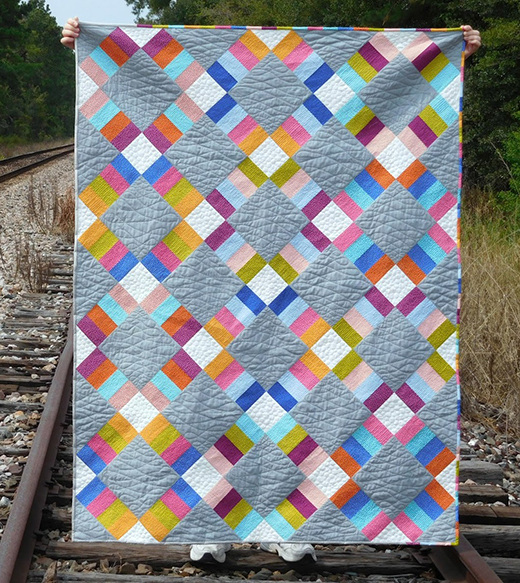 This Jelly Roll Railway Quilt FREE pattern from Fat Quarter Shop! made to celebrate NSAJRD, This quilt combined a jelly roll of Just a Speck by Jen Kingwell with Moda Bella solids in grey and white. This Jelly Roll Railway Quilt Designed by Young Texan Mama, The Pattern is available for free.